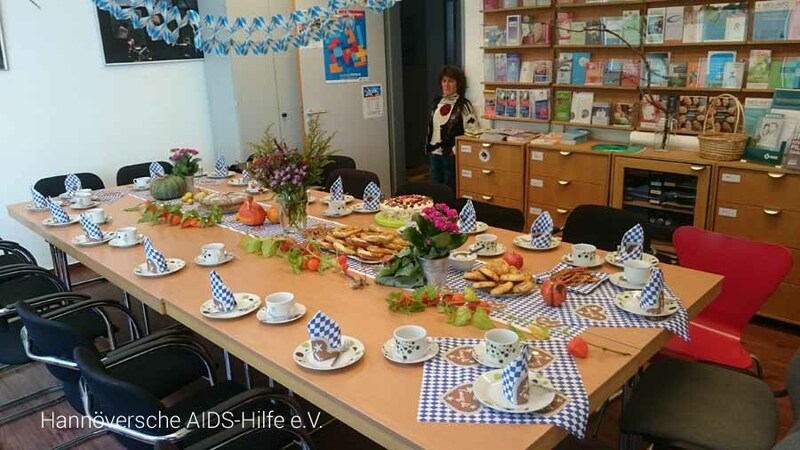 The Sunday Café is regularly held on the first Sunday of every month starting at 3 pm at the Hannoverschen AIDS-Hilfe e.V. Invited are all people with HIV and their friends, as well as volunteers of the Hannoverschen AIDS-Hilfe e.V. The Sunday café team around Christoph, Margitta and Ingrid cordially invites guests to experience home-baked cakes, hot and cold drinks, nice people and lively conversations. Participation is free, registration is not required.